Mountain culture is all over Bilbao these days. The 11th edition kicked off last Friday at the Euskalduna Palace with 1,600 spectators, and all tickets were sold out. At the Opening Ceremony, the movie The Dawn Wall was screened, and we welcomed its main character Tommy Caldwell and director Peter Mortimer. 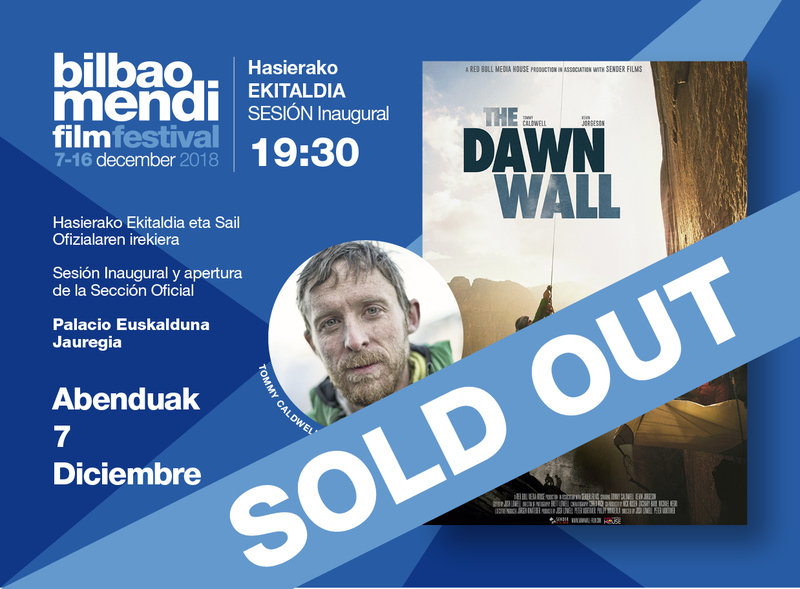 1600 Mendi fans will enjoy in the Euskalduna Palace with THE DAWN WALL with its protagonist Tommy Caldwell and the director of the film Peter Mortimer.